Imagine Dragons and Keith Urban are among the winners, and Diana Ross is honored with a Lifetime Achievement Award. “If you feel different … don’t you dare give up on who you are,” she said. Bruno Mars was also not in attendance at the Microsoft Theater in Los Angeles. Mars, who on tour in South America, picked up multiple awards, including artist of the year. “I wish I could be partying with y’all,” said Mars, who appeared in a video. The 73-year-old was cheerful and energetic as she ran through well-known songs onstage like a veteran, singing “I’m Coming Out” and “Ain’t No Mountain High Enough,” among other hits, with her signature big hair. Foxx, Berry Gordy, Smokey Robinson and others sang along, while some of Ross’ grandchildren danced onstage near the end of the performance. Another highlight of the night came when Linkin Park – whose lead singer Chester Bennington killed himself earlier this year – won favorite alternative rock artist. Selena Gomez, who had a kidney transplant this year due to her struggle with lupus, sang “Wolves” while lying on the floor in a short nightgown, her knees, hands and forehead covered in faux bruises and blood. Christina Aguilera was shaky when she sang a medley of Whitney Houston’s songs to honor the 25th anniversary of Houston’s film “The Bodyguard.” The band Portugal. The Man, who sang their pop hit “Feel It Still,” opened their performance with the words: “No computers up here, just live instruments.” And rapper Macklemore gave his grandmother a birthday shout out at the end of his performance. “Absolutely you should be sharing these, my love,” the country singer said as “This Is Us” actor Justin Hartley passed two of the trophies to Urban’s wife, actress Nicole Kidman, who sat in the audience. “Ed and Bruno are basically the two reasons I started singing,” he said. DJ Khaled won favorite rap/hip-hop song for “I’m the One,” his No. 1 hit featuring Bieber, Quavo, Chance the Rapper and Lil Wayne. 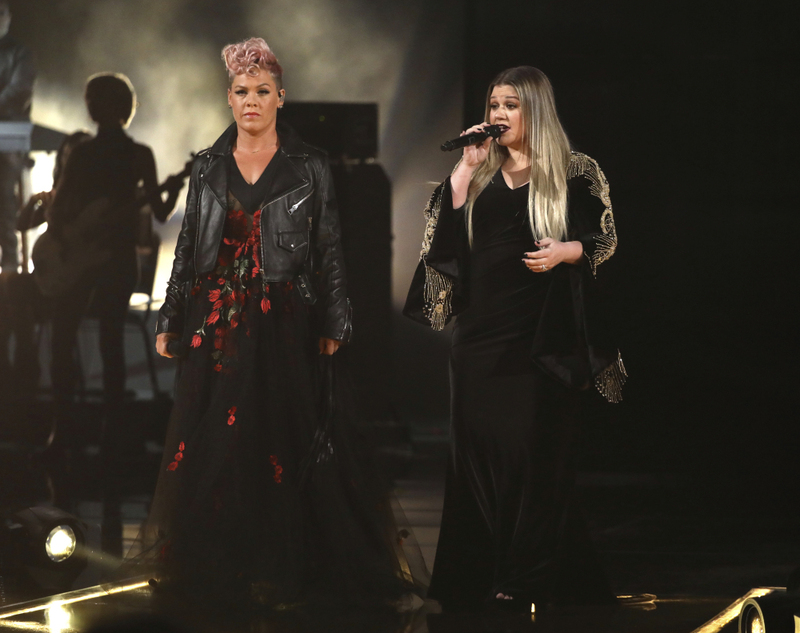 While the performers at the AMAs were evenly split between men and women, the nominees were not – a reflection of the year in pop music where male acts dominated.